Statement from Howard Lederer: "I Take Full Responsibility for Full Tilt’s Failure"
Howard Lederer releases a statement accepting responsibility for Full Tilt shortfall. 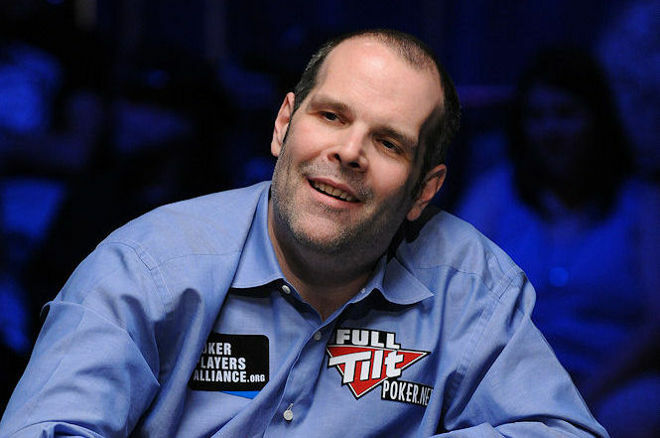 One of the big questions on the minds of many lately with the World Series of Poker fast approaching is whether or not this would be the year that Howard Lederer returned to the felt to chase bracelets. On Wednesday afternoon, Lederer released a statement via Daniel Negreanu's blog at FullContactPoker.com that began "I am writing to apologize to everyone in the poker community." In the letter, Lederer takes on more responsibility for the fallout of Full Tilt Poker that occurred once Black Friday rocked the poker world on April 15, 2011. A year and a half after that day, PokerNews spoke to Lederer for an exclusive seven-hour video series deemed "The Lederer Files." In those videos, Lederer deflected much of the blame away from himself and his account of what happened didn't sit well with the poker community. Since then, not much of Lederer has been seen around the poker world, except for a few glimpses here and there in some high-stakes cash games around Las Vegas. "I am writing to apologize to everyone in the poker community, especially to all the players who had money on Full Tilt Poker on April 15, 2011. When Full Tilt Poker closed in 2011, there was a shortfall in funds, a distressed sale to recover those funds, and a long delay in repaying players. Throughout this period, there was little explanation for the delay, and no apology. Players felt lied to. They trusted the site, and they trusted me, and I didn’t live up to that trust. "I take full responsibility for Full Tilt’s failure to protect player deposits leading up to Black Friday. The shortfall in player deposits should never have happened. I should have provided better oversight or made sure that responsible others provided that oversight. I was a founder in the company that launched Full Tilt, and I became the face of the company’s management in the poker community. Many of our players played on the site because they trusted me. "Even though I was no longer overseeing day to day operations, my inattention in the two years leading up to Black Friday imperiled players’ deposits. My involvement in Full Tilt from 2003-2008 put me in a unique position of trust—a trust that I disappointed by failing to ensure that Full Tilt was properly governed when I stepped away in 2008. My failure to make sure proper oversight was in place when I left resulted in the situation that began to unfold on Black Friday. Players were not able to get their money back for a minimum of a year and a half, and, for many, it has been much longer. I’ve been a poker player my entire adult life. I know the importance of having access to one’s bankroll. The lost opportunity, frustration, and anxiety many of FTP’s customers experienced in the intervening years is unacceptable. I cannot be sorry enough for what happened. "During Full Tilt’s rise, I received a lot of praise. I couldn’t see it at the time, but I let the headlines change me. In the first couple of years after Black Friday I made lots of excuses, to my friends, my family and myself, for why I wasn’t the bad guy or big-headed or wrong. In the months immediately following the crisis, I focused a lot of energy on trying to refute allegations that were factually untrue. I convinced myself that I was a victim of circumstance and that criticism was being unfairly directed toward me instead of others. I was missing the bigger picture. "At the time, my friend’s response felt like a slap in the face, but it is clear to me now that it was fair. An apology is not enough, but it is what I am able to offer to the poker community in the wake of a travesty that I should not have allowed to happen. I am sorry." Following posting the letter, Negreanu provided some commentary of his own, first suggesting that "I think this is the kind of apology people would have liked to read five years ago." Negreanu later reiterates that he wishes Lederer's comments in this capacity came sooner than five years down the road and understands that accepting what Lederer has to say will be a matter of personal choice. Negreanu also said, "For what its worth, I personally believe the apology to be genuine." The letter is also timely in that it came the same week the Full Tilt client was fully rolled into the PokerStars platform, marking the end of an era as Negreanu put it. As for what the future holds, the letter could be seen as Lederer's plea to the poker community that he wants to play poker again, and that it's better to try and right the wrongs of the past, no matter how late, in order to help do so. Even Negreanu says this could be the case. "My guess is that he just wants to be able to play poker again without the vitriol sent in his direction," Negreanu wrote. "Will this apology accomplish that? I don't know. I can only say that for me, I'm not bothered by him being at the poker table anymore. The players have been paid and he seems to be finally acknowledging and owning that he really screwed up. I have no interest in continuing to hold my grudge against him. I don't expect us to ever be 'pals,' as we never really were even before, but the venom I once held inside for him has subsided and I'd also like to close that chapter of my own life." For more on this story, listen to the latest episode of the PokerNews Podcast where the guys discuss it all. Click here to read the full post by Negreanu.